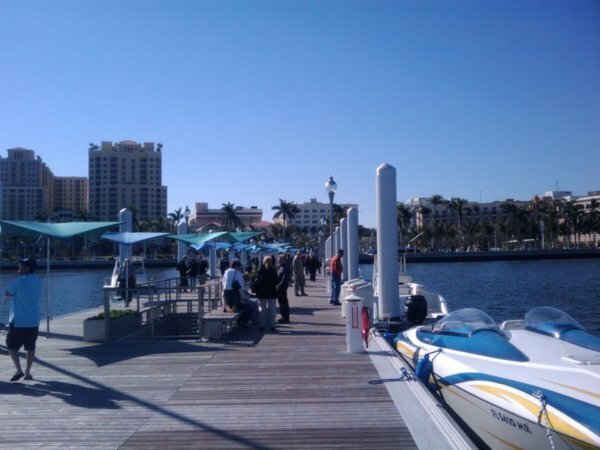 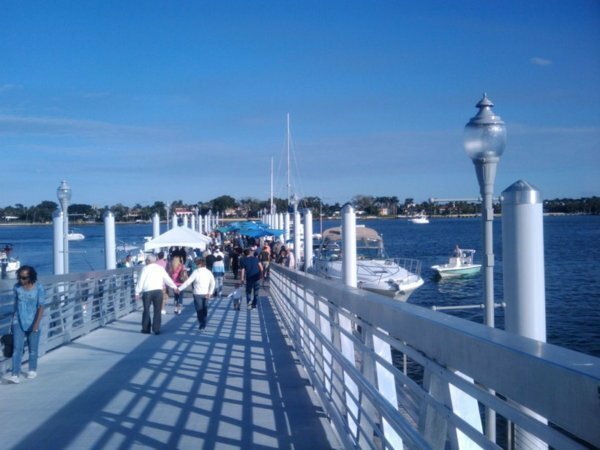 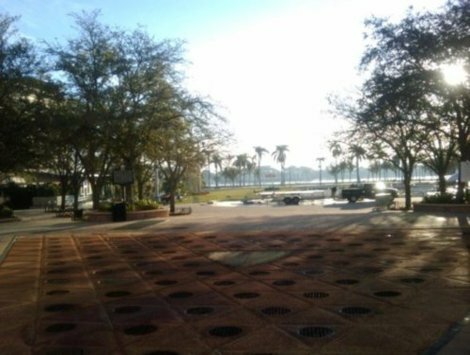 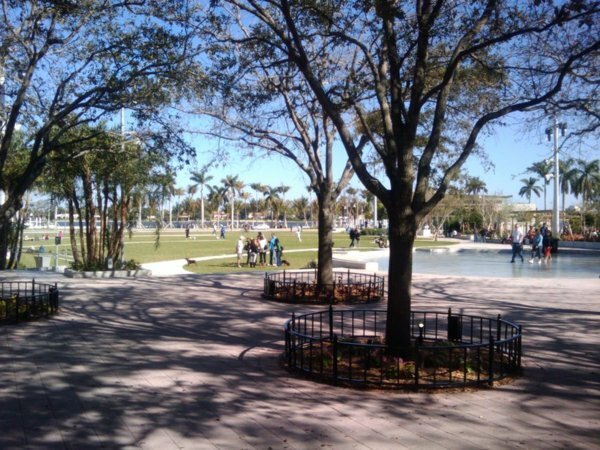 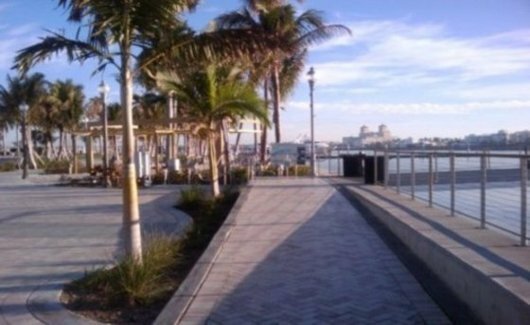 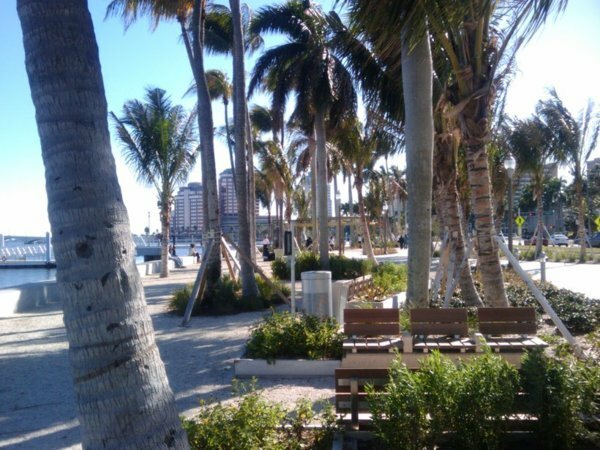 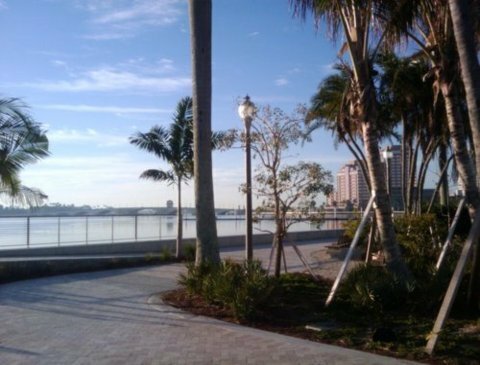 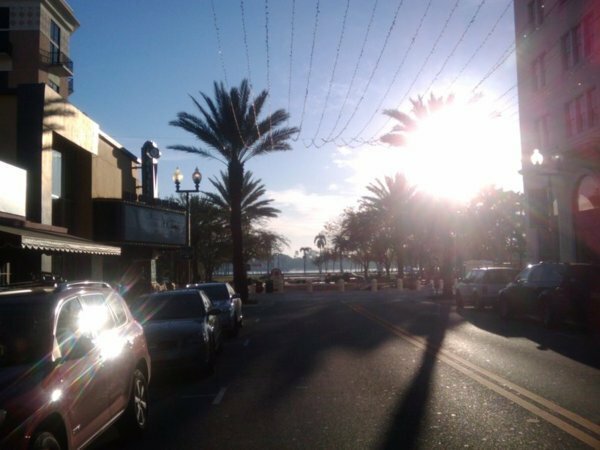 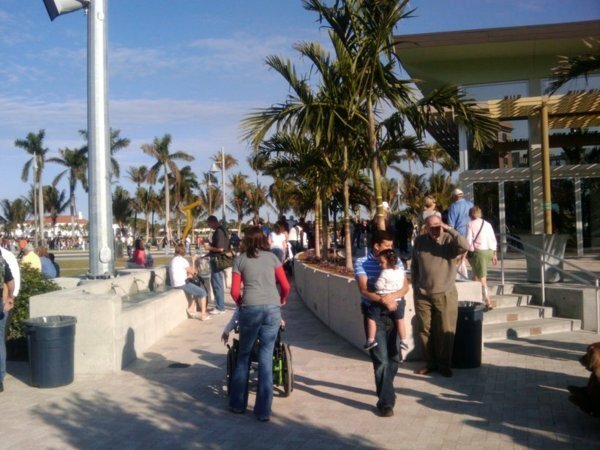 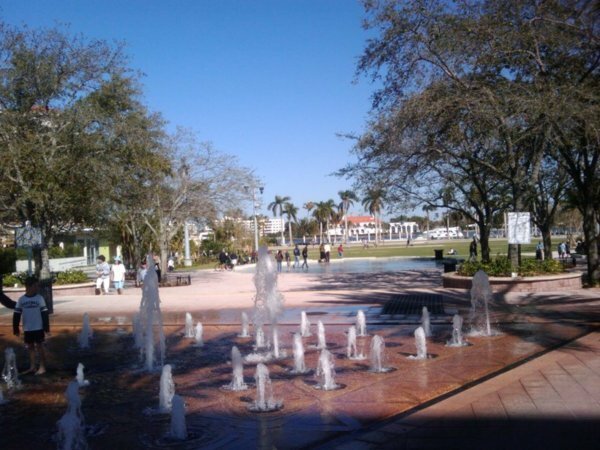 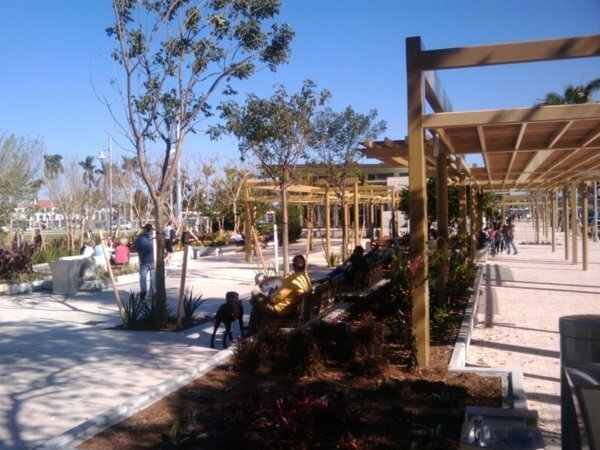 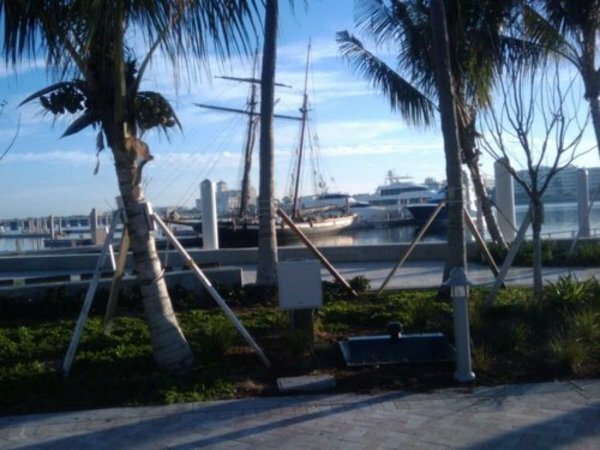 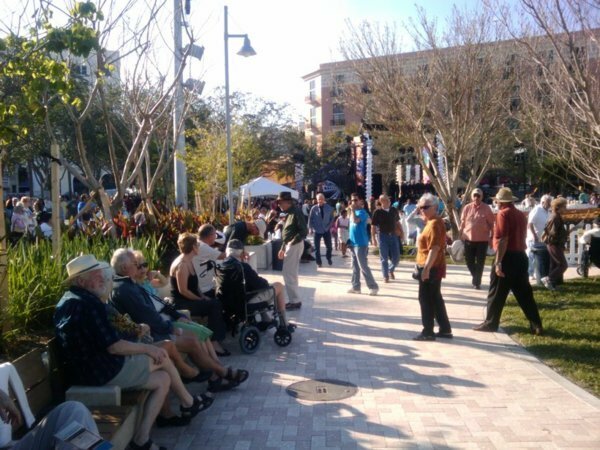 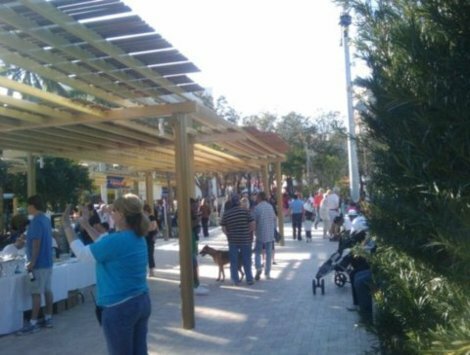 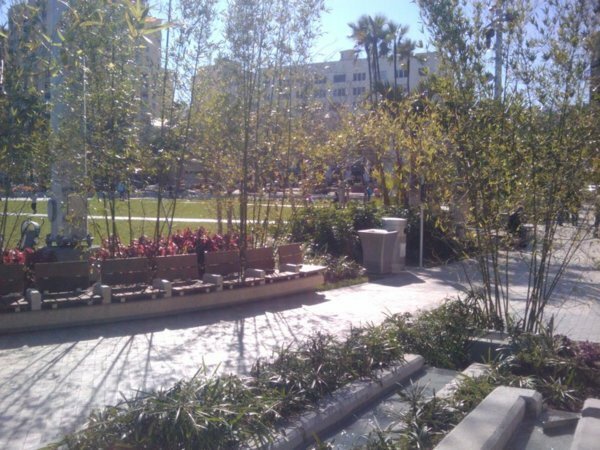 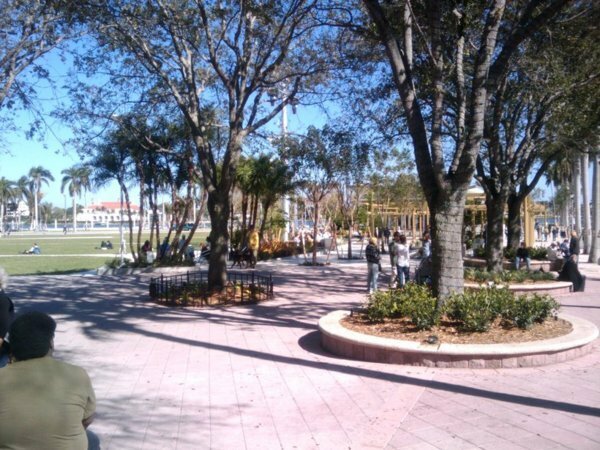 Clematis Street Waterfront Project Complete! 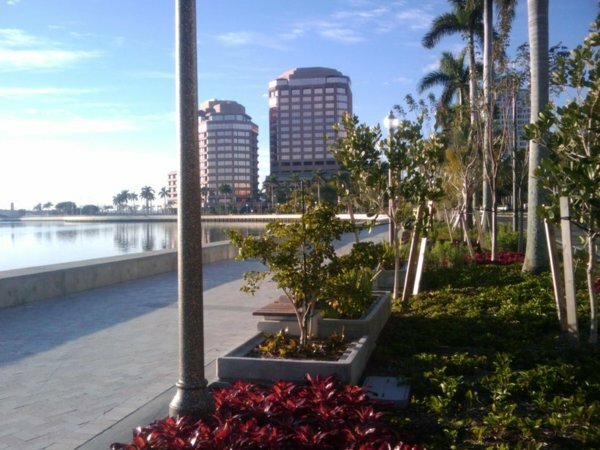 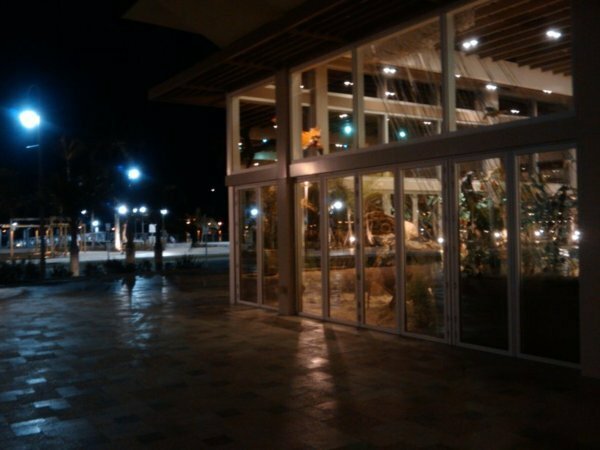 This page will have pictures of the final completed Clematis Street waterfront project in downtown West Palm Beach. 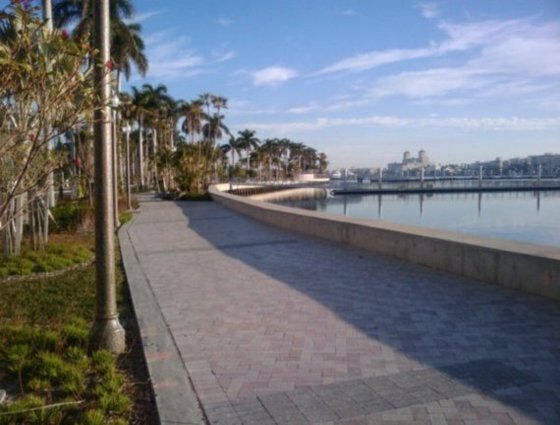 Some of the pictures were taken early Sunday morning, the day after the big opening ceremony, after things had quieted down, leaving only the picturesque scenes without the crowds. 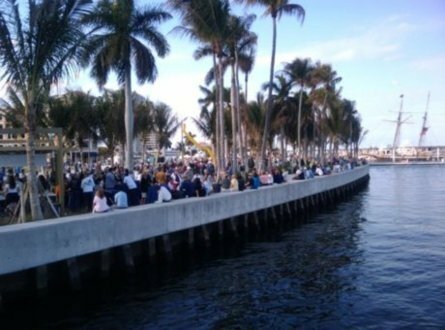 Other pictures were taken on Saturday afternoon, near the beginning of the opening festivities, when large crowds were present all around the area. 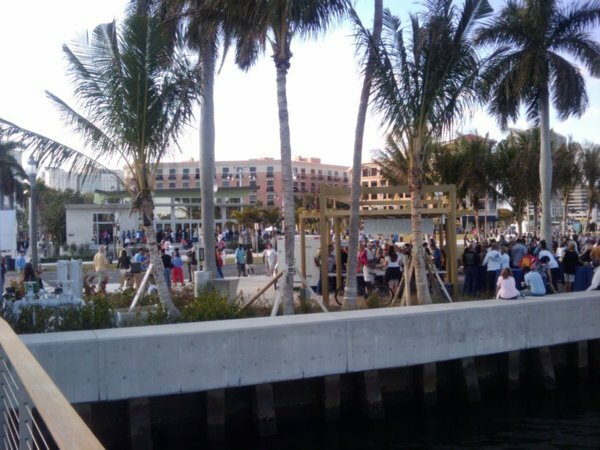 Since that time, there has been a constant flow of people coming to check out the waterfront, providing a nice happy medium between crowded and empty. 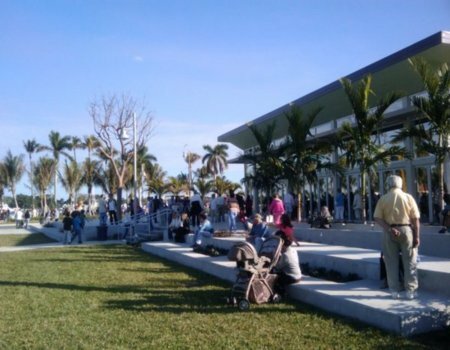 The last seven pictures show the waterfront on a normal Sunday afternoon, eight days after opening, still drawing many families, kids, dogs, etc.